Chris Hodges is a founding Principal and Chairman of Facility Engineering Associates, with over 35 years of experience in building operations and facility management. Chris earned his Master’s Degree in Materials Science and Engineering from Johns Hopkins University and Bachelor’s Degree in Civil Engineering from Clarkson University. Chris is also an IFMA Fellow, and Fellow of The Royal Institution of Chartered Surveyors (RICS). He has chaired and served on numerous committees of the International Facility Management Association (IFMA), the Capital Chapter of IFMA, and is an IFMA-Qualified Instructor. Chris also teaches facility management, performance management and sustainability for George Mason University, in the FM Graduate program at Catholic University, and IFMA credential programs for Rice University. He has written, presented, and conducted workshops in the U.S. and internationally for numerous facility management groups and organizations in the built environment. Chris is co-author of the book; Sustainable Facility Management: The Facility Manager’s Guide to Optimizing Building Performance. Bill Small is a Principal and President/CEO of FEA. Through his over 20 years of industry experience, he has developed expertise on a full range of building materials and systems. Bill earned his Bachelor of Science degree in Civil Engineering from Clarkson University. He is a Registered Professional Engineer in the states of Virginia, New Jersey and Pennsylvania and is also a certified Project Management Professional through the Project Management Institute. Bill has managed and performed field investigations, analyses and follow-up recommendations and designs for numerous projects nationally as well as large facility condition assessment efforts at various facilities across the United States. He has performed work at prestigious facilities such as the Goddard Space Flight Center, the University of Virginia, NAVY Flag Quarters, the Watergate Complex, and at numerous parks throughout the National Park Service system. 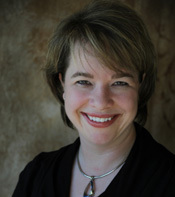 Laurie Gilmer is a Vice President/COO of FEA. She leads FEA’s group in its’ execution of facility asset management, building energy management, and sustainability services. Laurie’s primary areas of expertise include facility systems assessments, energy management, sustainability, and facility management organizational analyses. Laurie is a published author, regularly contributing to multiple Facility Management publications and co-authored the International Facility Management Association’s (IFMA) second manual in the Sustainability “How-To-Guide” Series, EPA’s ENERGY STAR Portfolio Manager. Laurie is currently serving a term on IFMA’s Board of Directors. Laurie also serves on the Northwest Energy Efficiency Council’s Building Operator Certification program advisory committee, and was the committee’s first chair. Laurie is a member of the National Visiting Committee of Building Efficiency for a Sustainable Tomorrow (BEST) Center. Additionally Laurie is an instructor for IFMA’s Sustainability Facility Management (SFP) , Facility Management Professional (FMP), and Certified Facility Manager (CFM) programs. She is also the past chair of IFMA’s Sustainability Facility Credential scheme committee and member of IFMA’s Environmental Stewardship, Utilities, and Sustainability (ESUS) Strategic Advisory group. 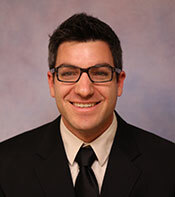 Matt Kutzler is the Vice President of Engineering Services and a Senior Engineer at FEA, which he joined in 2004. Matt’s experience in repair and restoration engineering ranges from assessment of building systems and their performance to design and assistance in implementation of solutions in the built environment. He is versed in waterproofing, masonry and stucco building enclosures, balconies, roofing systems, parking garages, and asphalt and concrete pavements. Matt has also managed a variety of facility condition assessments, working with property managers and owners to develop short and long term strategies that make sense for the life cycle of their facilities. He has authored articles and papers for several publications and organizations and has presented at international conferences for the SWR Institute and RCI. Matt is an active leader in the International Facility Management Association (IFMA) having chaired several committees in the Capital Chapter, the largest local IFMA chapter in the world, where he recently served on the Executive Board. 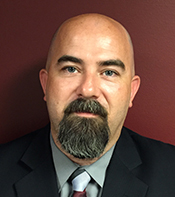 Paul Timm is an Associate and Vice President of Physical Security Services for FEA. Paul is a board-certified Physical Security Professional (PSP), the author of School Security: How to Build and Strengthen a School Safety Program, and a nationally acclaimed expert in school security. In addition to conducting numerous vulnerability assessments and his frequent keynote addresses, Paul is an experienced School Crisis Assistance Team volunteer through the National Organization for Victims Assistance (NOVA). He is certified in Vulnerability Assessment Methodology (VAM) through Sandia National Laboratories and the ALPHA(tm) vulnerability assessment methodology. 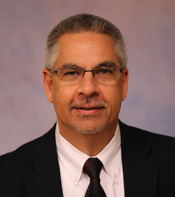 He is also a member of ASIS International’s School Safety & Security Council and the Illinois Association of School Business Officials’ Risk Management Committee. Currently working on his MDiv at Moody Theological Seminary, Paul holds a degree in Speech Communications and a Certificate in Business Administration from the University of Illinois. 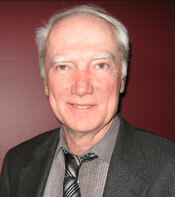 John Edwards is Vice President, Facility Services at FEA. He leads FEA’s group in supporting clients with organizational evaluations, strategic planning and performance management, facility business process and technology improvements, business resilience planning and implementation, and building energy and sustainability consulting. His 30-plus years of experience in facilities management include a 24-year career as a U.S. Navy Civil Engineer Corps Officer and service as a Senior Analyst with the U.S. Government Accountability Office. John is also an instructor for the International Facility Management Association (IFMA) Facility Management Professional (FMP) program and is active in the Society of American Military Engineers (SAME) at the local and national level. 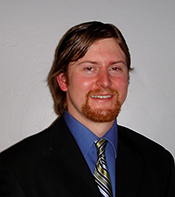 Dan Watkins is Chief Engineer and an Associate at FEA. 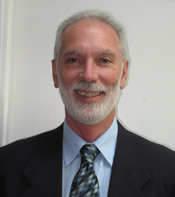 Dan has served as Project Manager on hundreds of projects in his over 25 years of engineering consulting practice. Dan earned his Bachelor of Science and Master of Science degrees in Civil Engineering from Virginia Polytechnic Institute and State University (Virginia Tech). He is a Registered Professional Engineer in the Commonwealth of Virginia, State of Maryland, and the District of Columbia. Dan has extensive experience with materials and structural restoration projects including performing assessments and surveys, design preparation, and construction contract administration services. He is an active member of the International Concrete Repair Institute (ICRI) and on the Board of Directors of the Virginia Chapter of ICRI. Maureen Roskoski is the Corporate Sustainability Officer and a Senior Professional at FEA. She has worked with existing facilities on building certification, energy management, and sustainable facility management during her 20 years of practice. Maureen graduated from Mary Washington College with an Environmental Earth Science degree. She has taken several clients through the LEED for Existing Building certification process. Maureen has worked with commercial and federal facilities on energy audits, preparing Strategic Sustainability Performance Plans, and conducting energy and sustainability training. Maureen has presented in her area of expertise at several leading conferences including IFMA’s World Workplace, Greenbuild, and NFM&T. In addition, Maureen has led workshops on sustainability in existing buildings for the New York Regional Chapter of APPA and Jones Lang LaSalle. She was one of the primary developers and Instructors for George Mason University’s Professional Certificate in Sustainability for Existing Buildings Program. Maureen is an IFMA Instructor for the Sustainability Facility Professional credential and a co-author of the IFMA How To Guide Series publications on ENERGY STAR and Green Building Rating Systems. Wayne Malek’s professional skills and experience have been developed as an individual contributing engineer and a manager of projects through long-term employment with two international firms and one small business enterprise, recognized leaders in their respective markets. Wayne is a Senior Professional with FEA and has extensive experience with a wide range of evaluation, remedial design and construction management projects to maximize building service life while improving building operations efficiency. His focus is sustainable construction, green building, and improved indoor air quality through management of the building envelope performance and indoor environmental issues including asbestos building materials, lead paint and indoor air contaminants such as mold. Wayne has the proven ability to personally deliver technical services and direct engineering personnel and sub-consultants providing a full range of services for clients. He has been the engineer of record for projects requiring a range of building component/system evaluations and remedial design. Mayra Portalatin is a Senior Professional with extensive project management and consulting experience in building investigations ranging from environmental to building condition assessments. During her tenure at FEA, her practice has extended from evaluation of the built environment, to the facility management area, including maintenance and operations of building systems, facility management technology, sustainability and energy management, and training of management and engineering staff in topics ranging from hazardous materials management to sustainability. Mayra holds the Sustainability Facility Professional (SFP) and LEED AP O+M designations and is a licensed Asbestos Building Inspector and Project Designer. She is also a certified Reserve Specialist as designated by the Community Associations Institute (CAI). She is the current President of the International Facility Management Association (IFMA) Capital Chapter and is an instructor for IFMA’s SFP credential program. In addition to being an instructor, Mayra has spoken in various conferences such as NAEP, WMCCAI, AASHE, Greenbuild, NFMT, and WWP about sustainability in the existing building environment. Mayra has been a contributor to various publications as well as one of the co-authors of IFMA Foundation’s Sustainability “How-To-Guide” on Green Rating Systems. Conrad Kelso is FEA’s Santa Rosa Office Manager, a registered Mechanical Engineer in the State of California and a Certified Energy Manager (CEM). He earned his Bachelor of Science degree in Mechanical Engineering from the University of California, Davis. Conrad has been involved with many Facility Condition Assessments and Energy Audits. He has also provided assistance for LEED point analysis and submitted buildings for LEED certification. Conrad has performed ENERGY STAR Statement of Energy Performance Validations for several buildings, which have subsequently earned their ENERGY STAR. He is member of International Facility Management Association (IFMA) and the Association of Energy Engineers (AEE). Conrad has previous work experience with the City of Sacramento’s Development Services Department performing commercial building plan reviews. He has reviewed hundreds of building projects including tenant improvements, multi-family residential buildings, and new commercial high-rises for compliance with building, mechanical, plumbing, fire and energy codes. Conrad has extensive knowledge of the Uniform and International Building, Fire, Mechanical, and Plumbing Codes and NFPA Standards 13, 14, 20 and 72. 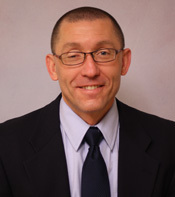 Gary DuVall is the Facility Manager in FEA’s corporate office in Fairfax, VA. His responsibilities include oversight and management of elements related to the effective operation within the office environment, including facility preparedness and provision of workspace continuity. As a member of FEA’s Senior Leadership Team, Gary is involved in efforts to promote the growth and objectives of FEA related to policies and services. Gary has participated in a variety of high-profile projects throughout the DC metropolitan area, including a first of its kind real-time program for monitoring railway track during adjacent tunneling procedures. He currently manages CAC projects for the National Park Service, assessing the existing condition of both facilities and underground utility systems. His key strengths are in project management, contract administration, and the organization of contract scope, schedule, and budget. Gary has extensive experience in project management, facility condition assessments, equipment inventory, and the instrumentation practice. His technical abilities include the use of a wide variety of monitoring equipment, such as tape extensometer, both vertical and horizontal inclinometers, and surveying used to monitor for settlement/heave. His instrumentation experience includes the monitoring elements of sheeting and shoring systems, the placement of electronic sensors for remote capabilities, and deformation of underground railway tunnels. And, many thanks to our two retired Principals and Co-founders, without whose help and guidance we would not be the great company we are today.